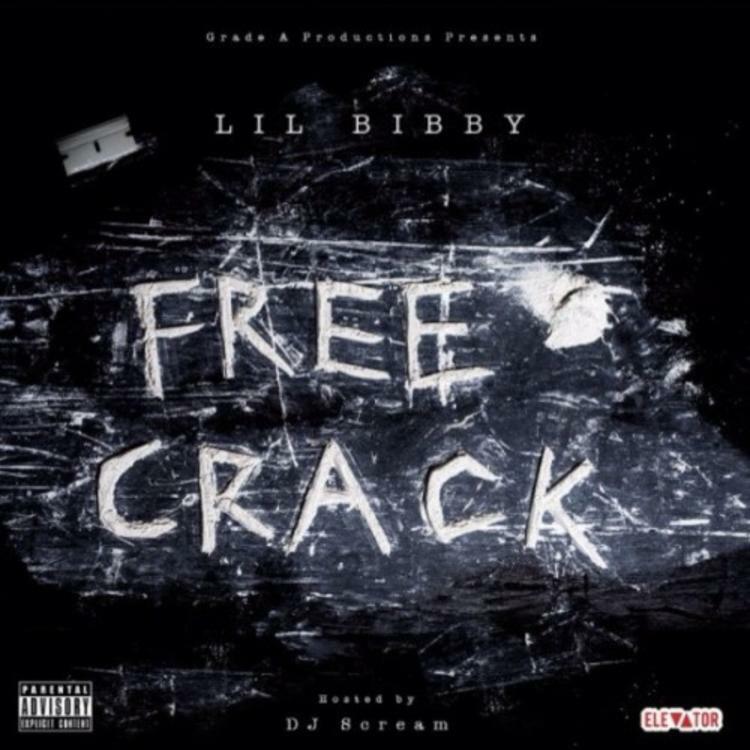 Lil Bibby delivers "Free Crack" to the people! The DJ Scream-hosted tape features Lil Herb, Lil Durk and King L, with production from Honorable C Note, Young Chop, DJ L and more. Cop Free Crack, the latest mixtape from Lil Bibby, which dropped on Friday, November 29th, 2013. 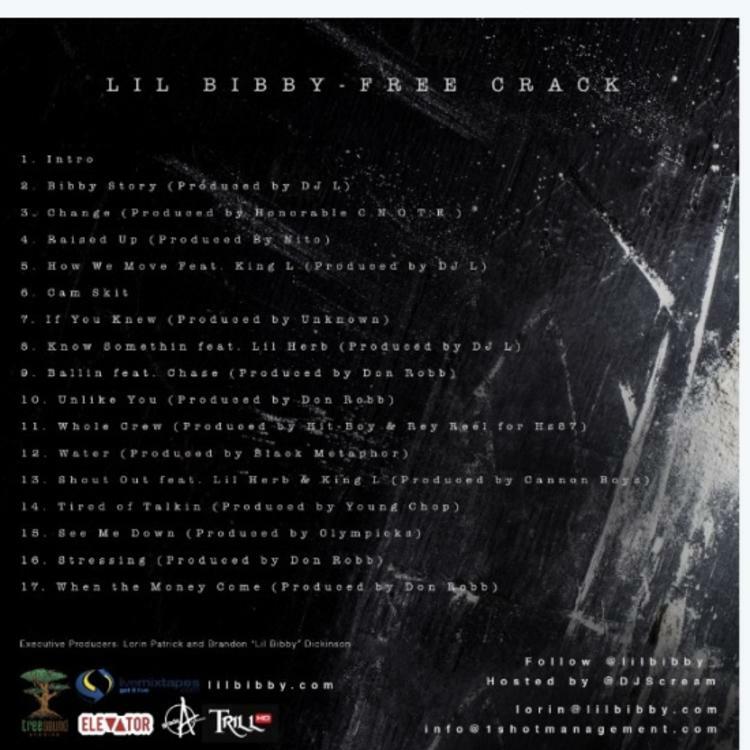 Lil Bibby's odds keep getting better with each new leak, and Free Crack will undoubtedly improve his chances of winning. It's a worthy addition to a respectable catalogue that has seen a lot of growth since Lil Bibby debuted in this game. We're looking forward to the follow-up. 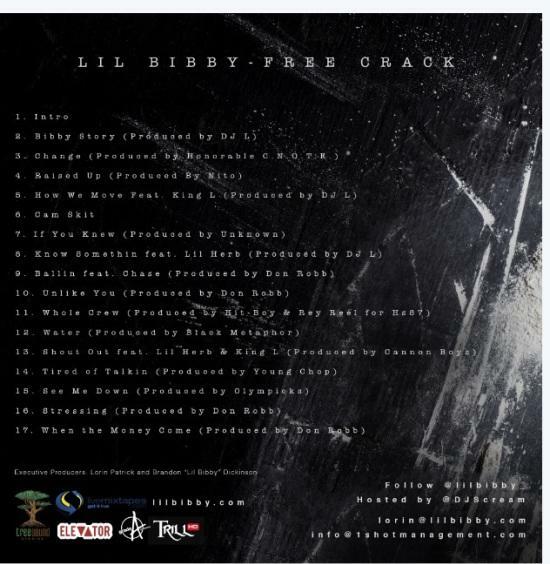 The following artists are featured on the mixtape: King L, Lil Herb, Chase. The following producers soundtracked the mixtape: DJ L, Honorable C NOTE, Nito, Don Robb, Hit Boy & Rey Reel, Black Metaphor, Cannon Boyz, Young Chop, Olympicks. Have you heard Lil Bibby's Strange? If you dig this, visit Lil Bibby's profile for the latest info, news, songs, and mixtapes. Don't forget to follow Lil Bibby on Twitter.